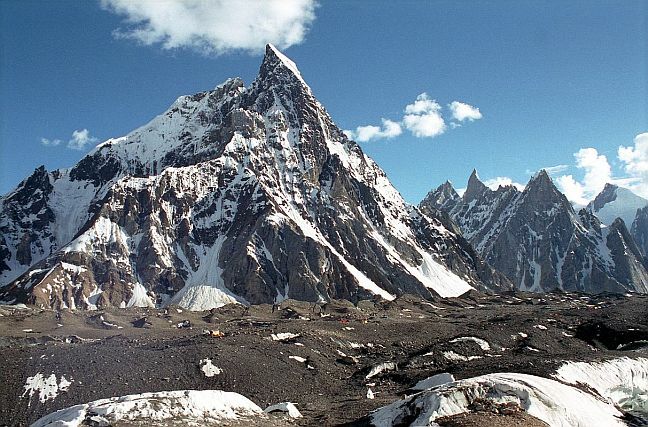 The Karakoram is a large mountain range spanning the borders between Pakistan, India and China, located in the regions of Gilgit-Baltistan (Pakistan), Ladakh (India), and Xinjiang (China). It is actually the northwestern extension of the Himalaya. 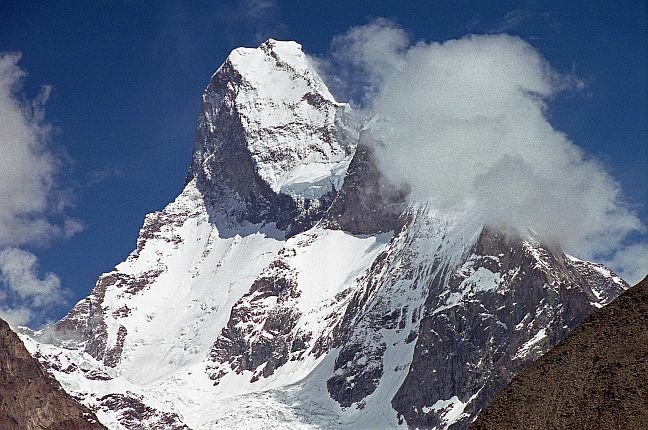 This range is home to many peaks over five miles in height, including K2 (Mount Godwin Austen), the second highest peak in the world (8,611 m/28,251 ft), and three other of the Earth's fourteen 8,000-meter peaks — Gasherbrum I at 8,068 m. (26,471 ft), Broad Peak at 8,047 m. (26,402 ft), and Gasherbrum II at 8,035 m. (26,363 ft). The range is about 311 miles in length, and is the most heavily glaciated part of the world outside the polar regions. 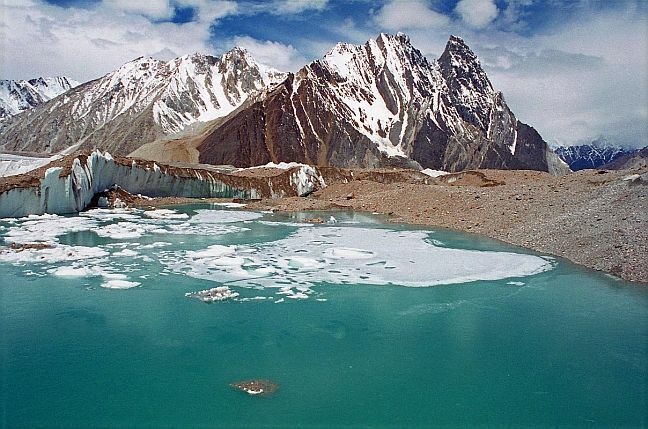 The Siachen Glacier at 44 miles long and the Biafo Glacier at 39 miles long are the world's second and third longest glaciers outside the Arctic and Antarctic areas. About 28-50% of these mountains are glaciated, much more than the Himalayan average of only 8-12%.